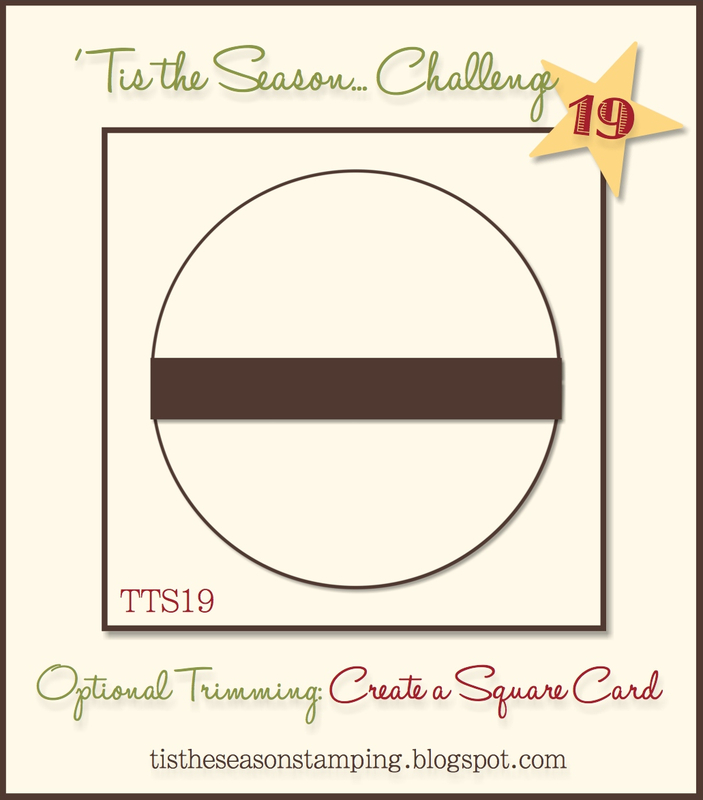 It's time for another 'Tis The Season challenge and this week we have a sketch challenge! 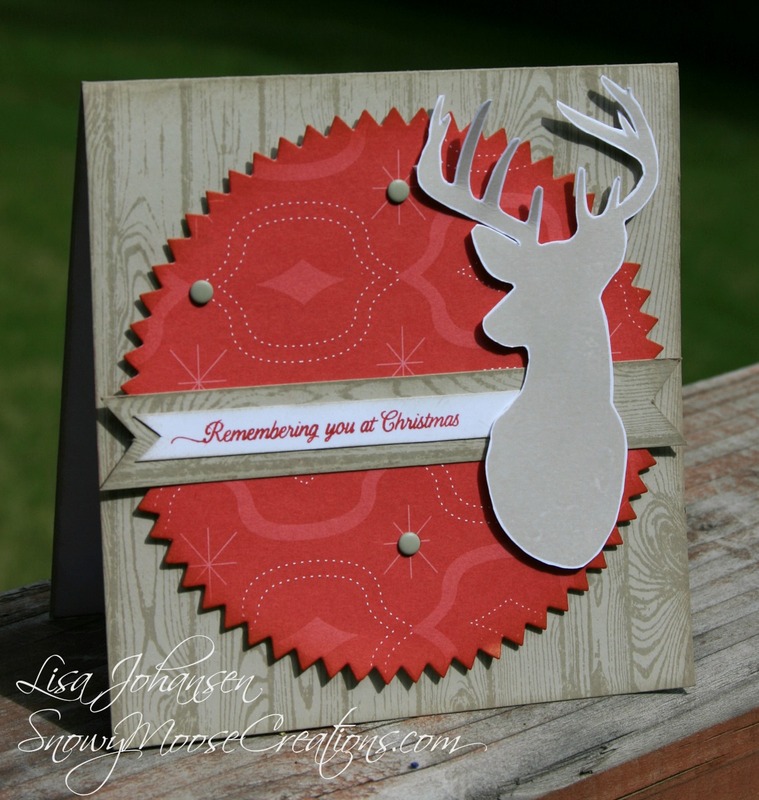 I decided to go for a rustic card and used the deer from the Remembering Christmas set, along with the Hardwood stamp and some retired DSP. It took me a little bit to figure out exactly what I wanted to do with the circle portion of the sketch but I finally decided to cut out a circle using the Starburst Framelits. I stamped the deer image on Whisper White in Sahara Sand and fussy cut it out, popping it up with dimensionals above the banner. The banner is just a smaller version of the main card panel....the Hardwood stamp stamped in Sahara Sand on Sahara Sand card stock. I then stamped the sentiment in Ruby Red(retired) on Whisper White. To finish it off I added some Sahara Sand candy dots on the circle cut out of the DSP. Head on over to the 'Tis The Season blog and see what the rest of the DT did with the sketch, and then play along with us!